As you know, I write this blog in both English and Spanish. I wanted a way to install the software I use in both languages, that way the steps and screenshots would be more precise. If I could have Windows in English as well as in Spanish, it would make things easier. But I don’t want to buy a second computer just for that. I could create a second partition in my hard drive and install another Windows there. But I would only be able to run one instance of Windows at a time. Then I thought about a Virtual Machine (VM). Microsoft offers Virtual PC as a way to run multiple Windows versions on the same computer. But Virtual PC is only available for Windows 7 Professional and Windows 7 Ultimate. Most new computers only come with Windows 7 Home Premium, you we would need to pay for an upgrade. I started looking for other options. 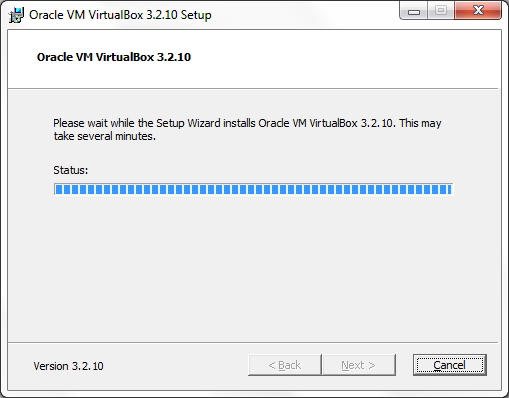 It didn’t take me a long time to find Oracle’s VirtualBox. 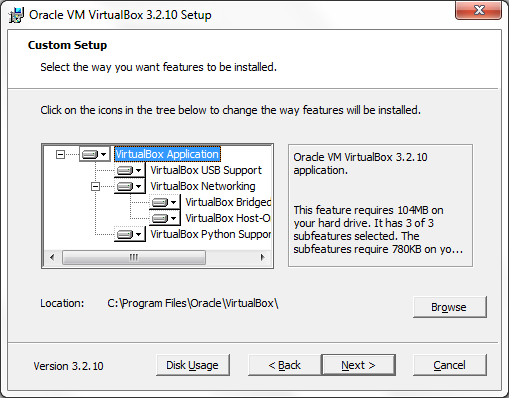 VirtualBox is open source and supports many operative systems (OS), including Windows XP, Windows Vista, Windows 7, Linux, Mac OS X and Solaris. 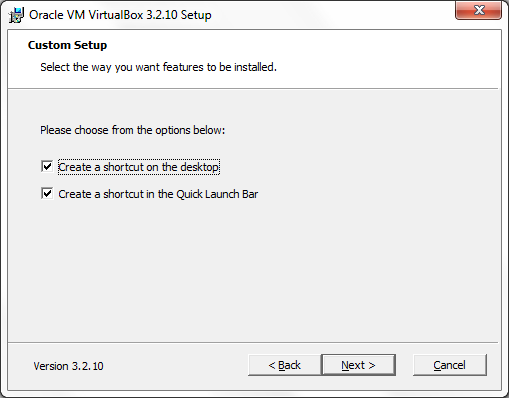 I decided to give VirtualBox a chance, and I was very pleased with the results. 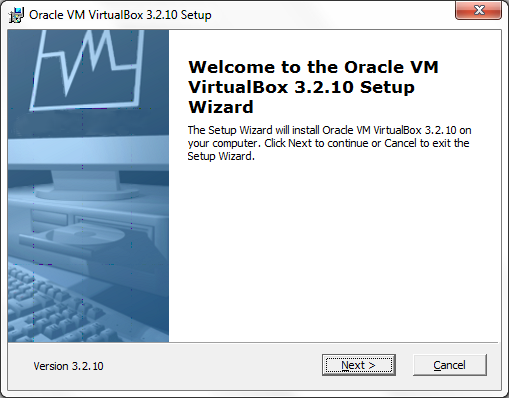 You can download VirtualBox from their own website or from Oracle’s website. Click on the installer for your OS. Download and run the installer. The Welcome screen will come up. Click Next. 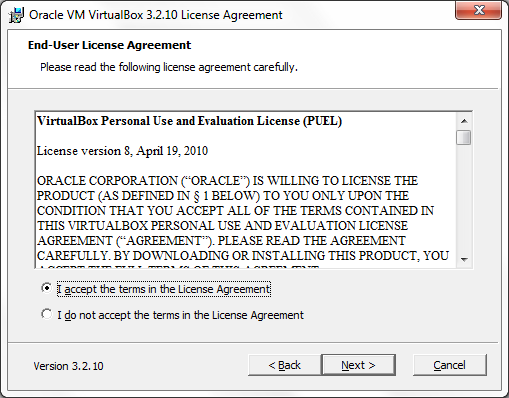 You’ll see the End-User License Agreement. You’ll need to accept the terms to continue. Click Next. In the next screen you can select which components to install. You probably want USB support and networking. Click Next when you’re done. In this screen you can select which shortcuts you want to create. Click Next when you’re done. 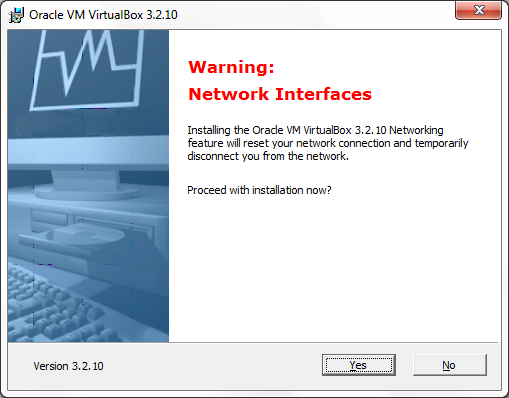 The next screen displays a warning about changes that VirtualBox needs to make to your Network configuration to allow your virtual machines access the network. Click Yes to continue. 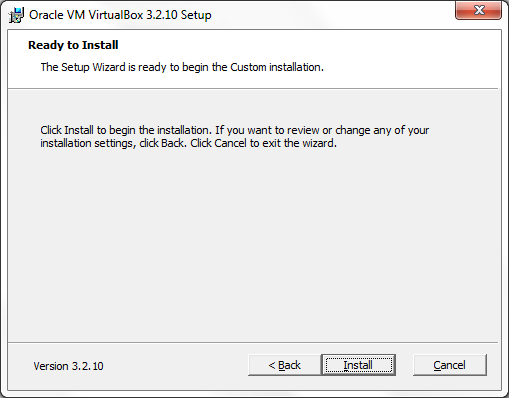 The installer is now ready to start the installation. Click on Install to begin. You can see the installation progress in the next screen. 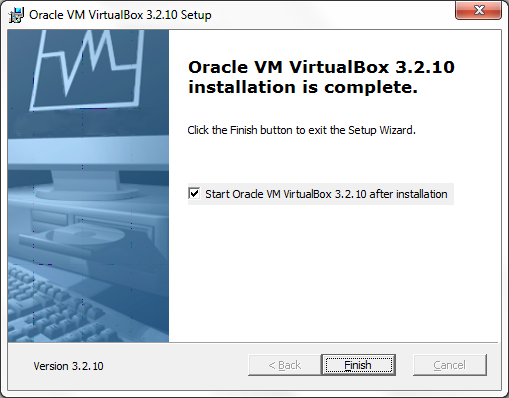 When the installer is done, you have the option to open VirtualBox immediately. Click on Finish to close the installer. We’re ready to start setting up virtual machines on our computer. We’ll see an example on the next post. Leave your comments if you have any question.